On Friday, July 20, 2018. 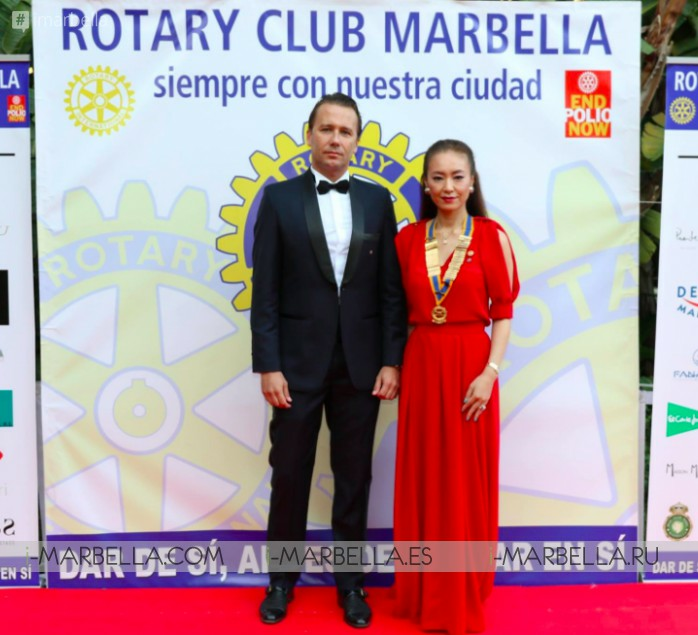 Rotary Club Marbella celebrated its annual gala at the Finca de la Concepción with the new elected President Saeko Hamada and about 400 attendees. The club aimed to support a solidary gala that is now 33 years old, and whose profits are used to support various Marbella associations. 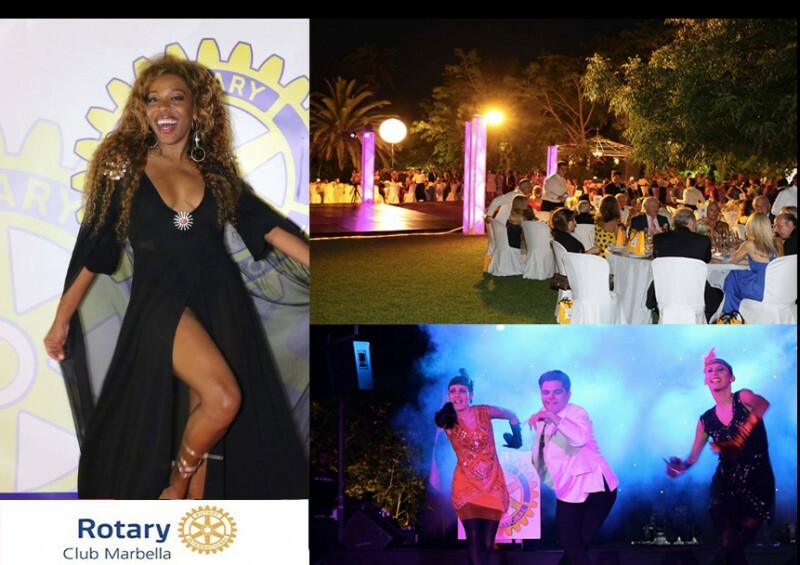 Again in Costa del Sol, specifically in Marbella the well known Rotary Club Marbella did not miss its annual event which was celebrated at the Finca de la Concepción, a luxurious and beautiful place that was chosen once again to celebrate its charity Gala Dinner. Finca La Concepción is known for being the perfect place for holding all kinds of events, social events and shows in the city of Marbella. 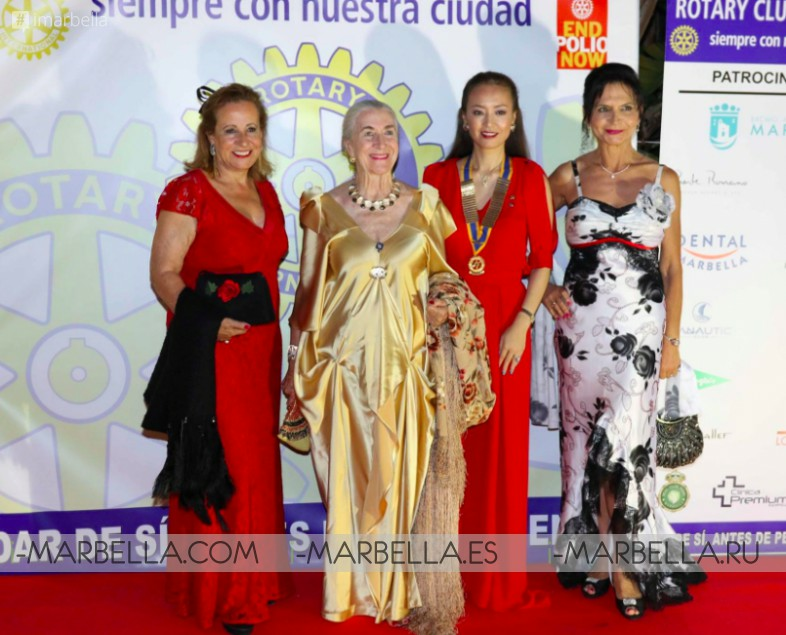 Saeko Hamada was wearing a beautiful red dress from Shapo Ole and her husband Alessandro Della Morte received the guests for the Rotary Club Marbella Summer Gala 2018. Such event is this year accomplishing its number 33 edition, probably one of the oldest charity events that are taking place in southern Spain. On the photo: Alessandro Della Morte, Maika Perez de Cobas, Saeko Hamada, Aitor Gamindez and Emile Issa. From left to right: Rosa Cifuentes González, Remedios Nieto Palacios, Saeko Hamada and Yovanka Manolovic. The newly elected president Saeko Hamada who welcomed each of the almost 400 guests including the presence to various charities such as Cáritas, Awakening without Violence, El Ángel Public School or the Bastiano Breguese Foundation among others, have demonstrated with its 32rd-year event their commitment with helping the most needed. From left to right: Felix Ramos, Saeko Hamada and Manuel Parada Rodriguez. 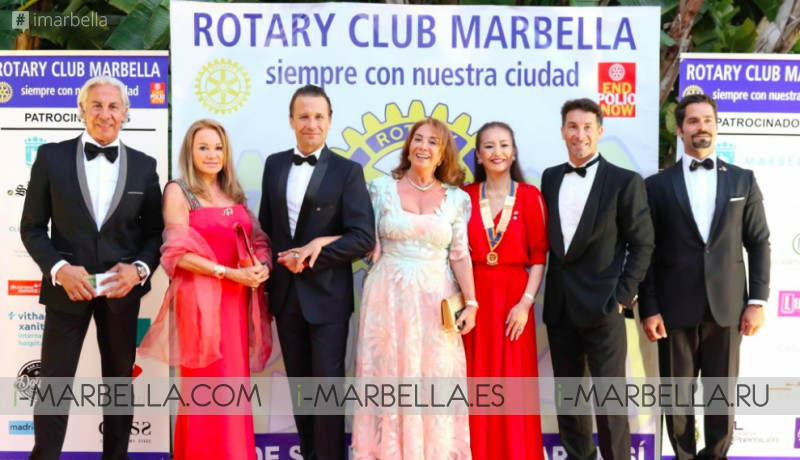 To the Rotary Club Marbella Summer Charity GALA many representatives from other Marbella associations and numerous business assisted to be part of such benefit event. From left to right: Angelika Legowik, Dorothea Adamson, Tiara Tian, Saeko Hamada, Parastoo Behzadi, Halila Panigada and Kelly CW. 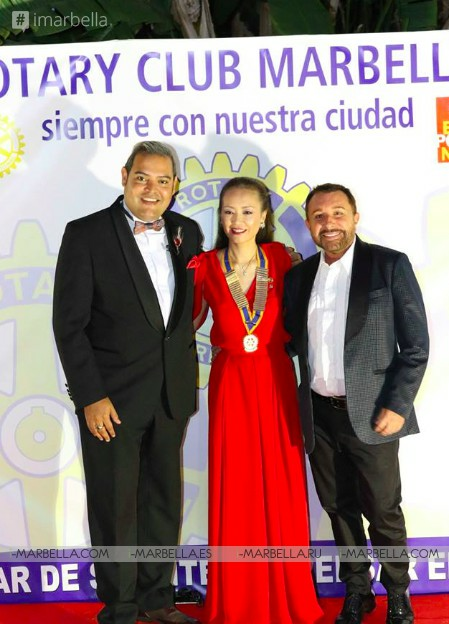 The list included; Count Rudi, Fernando Martínez de Irujo, Daniel Shamoon, Baldomero León, The delegate of the Rotary Club District governor, Alain Pierad, Mayca Campos; Cudeca Madrid Ambassador, Maika Pérez de Cobas; AECC Marbella president, Dr. Hernán Cortés and Blanca de Castro from HC Marbella were part of the attendees. 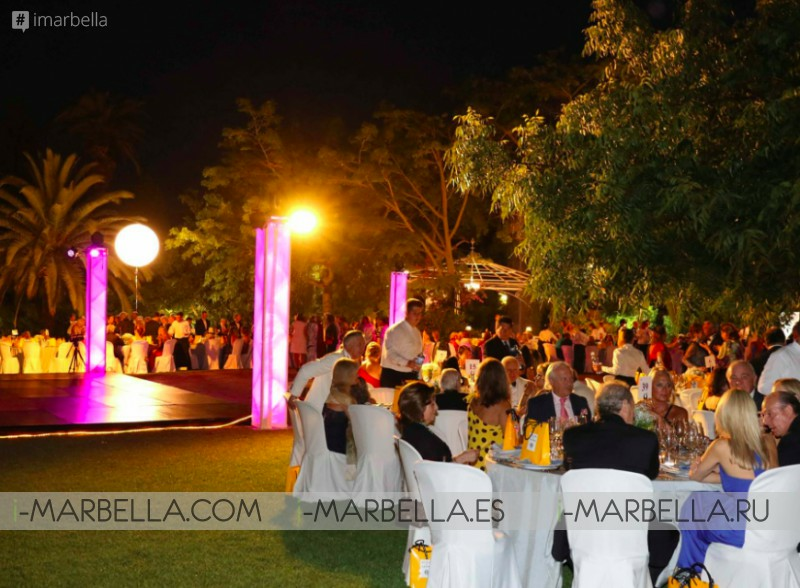 During the dinner, the attendees enjoyed the musical Hollywood of Le Familea, the dance performance of the children from Colegio Laude and music of the DJ Carlos Turolla.